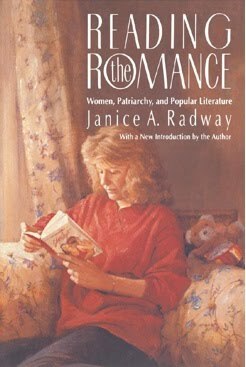 An important book that I dipped into years ago, but have only now read completely, is Janice Radway's Reading the romance. It's brilliant in its thoughtfulness about a subject—women's reading of romance novels—that is usually dismissed without much thought. 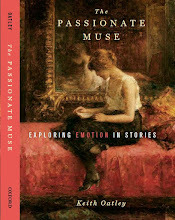 Radway studied a selection of women's romance novels and, more importantly, had a series of conversations with an informant, Dorothy Evans, who worked at a Mid-Western branch of an American chain bookstore and published a monthly newsletter in which she reviewed newly published romances. Dorothy believed that "a good romance focuses on an intelligent and able heroine who finds a man who recognizes her special qualities and is capable of loving and caring for her as she wants to be loved" (p. 54). Radway also had informative conversations with 16 of Dorothy's customers, and analyzed 42 responses to 50 questionnaires she sent out. 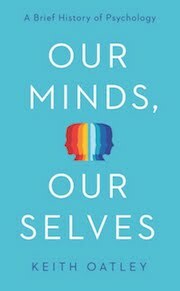 It seemed to be a surprise to Radway to find herself performing a psychological study of readers' experiences, and to come to respect readers' opinions. Part of the brilliance of this book is that, in it, Radway leaves telling trails of footprints along paths she traced and retraced in her approaches to her material. One of Radway's paths was that, as a literature professor influenced by the New Critics, she was supposed to study the text, the whole text, and nothing but the text. 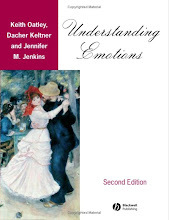 So she took a rather sniffy attitude to the romance texts, which she describes as "dominated by cliché, simple vocabulary, standard syntax, and the most common techniques associated with the nineteenth-century realist novel" (p. 189). A second path was from her feminist perspective. She says: "it is tempting to suggest that romantic fiction must be an active agent in the maintenance of the ideological status quo because it ultimately reconciles women to patriarchal society and reintegrates them with its institutions" (p. 217). A third path was her interest in psychoanalysis, especially in Nancy Chodorow's work, The reproduction of mothering (1978). She wonders whether the romance's underlying appeal is based on regressive fantasies in which women "feel particularly happy, [as] they escape figuratively into a fairy tale where a heroine's needs are adequately met" (p. 93). Generally there are two people who come together for one reason of another, grow to love each other, and work together solving problems along the way—united for a purpose. They are light easy reading and always have a happy ending which makes one feel more light hearted. I think [a romance] is a man and a woman meeting, the growing awareness, the culmination of the love—whether it's going to jell or if it's going to fall apart—but they [the heroine and the hero] have recognized that they have fallen in love [emphasis added]. (p. 65). Romance reading … is a strategy with a double purpose. As an activity, it so engages their attention that it enables them to deny their physical presence in an environment associated with responsibilities that are acutely felt and occasionally experienced as too onerous to bear. Reading, in this sense, connotes a free space where they feel liberated from the need to perform duties that they otherwise willingly accept as their own. At the same time, by carefully choosing stories that make them feel particularly happy, they escape figuratively into a fairy tale where a heroine's needs are adequately met. As a result they vicariously attend to their own requirements as independent individuals who require emotional sustenance and solicitude. (p. 93). In the end, it's the path taken by the readers that Radway herself comes to tread with most confidence. She explains how, in identifying with the heroine in romance fantasies, a typical reader first explores how the man in the story is aggressive and insensitive (as men often are!) but of then being loved by him with the kind of care and tenderness that she herself gives to her family, but which the family by no means always gives to her. Perhaps, Radway suggests, romances have the effect of helping women to maintain and develop this kind of love in themselves and to develop it, too, in their marriages and among their children, female and male. Nancy Chodorow (1978). The reproduction of mothering: Psychoanalysis and the sociology of gender. Berkeley: University of California Press. Janice Radway (1984). Reading the romance: Women, patriarchy, and popular literature. Chapel Hill: University of North Carolina Press. I do think romances have changed over the years, as the roles of women themselves have. When I first read romances way back when, women were kind of looking for Mr. right; I would say they weren't portrayed nearly as being strong and capable, with careers, etc. (And women DID all those things back then, too!) Now it's more about love, than about being protected and provided for. One of our librarians does a fabulous lecture every couple years on romances. She dresses up and she gives the books the respect they deserve. And, loathe as I am to say it, now you have men writing romances, too, which truly does show respect has come (so to speak). Look at Ron Weaver for an example. He's producer of a soap opera and has written a romance novel, "Soul Mate." (I can't help but think there's a connection between the book and being a soap opera producer. Who else would know about plot twists and turns?) It's about a high school teacher who takes up with her 18-year-old student. She's 26 -- so there are elements of forbidden love here -- they have to deal with the society which is going to judge them (obviously!) and figure out how to find their purpose and meet their dreams. I completely forgot to thank you for the book review, so to speak. I'm going to look for this one. Thank you very much, Liz, for these comments. I am sure that you are right, that romances have changed over the years. Radway's book was written, as you say, at a time when women's roles were different, and Radway writes with that admirable sense of vigorous 1970s - 1980s feminism. Your librarian who does a lecture on romances sounds great. I have been looking for modern published pieces of this kind, and have not yet come up with anything as good as Radway's book. I will look up Ron Weaver, whom you recommend. I am going to try reading a couple of modern romances, for exactly the reason you suggest, to see how things have changed since the 1980s. One young informant (aged 21) has recommended The notebook, by another male writer, Nicholas Sparks, which I have just bought. a subject—women's reading of romance novels—that is usually dismissed without much thought. There's been quite a lot of academic interest in the romance genre recently. I don't know if you've come across the International Association for the Study of Popular Romance but it was established in 2009 to encourage the study of romance in popular culture (including, but not limited to, romance novels). If you're looking for more secondary texts on the genre, there's a bibliography of romance scholarship. I'd particularly recommend Pamela Regis's A Natural History of the Romance Novel for its analysis of the basic structure of romances. 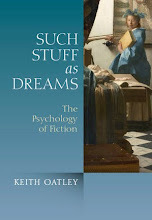 I feel a bit hesitant to recommend something I myself have had a hand in writing, but I've co-written an article which takes an anthropological approach to romance protagonists and their relationships, and the relationship model which Radway describes is only one (although a very popular one) of those which can be found in the genre. Romances have changed with the times but there has always been more than one model of relationships in the genre. The readers Radway studied, however, had very specific tastes. To give one example, you'd have a hard time fitting Georgette Heyer's The Grand Sophy into Radway's structure for the "ideal" romance, but it's nonetheless a romance which, as is obvious from the number of times it's been reprinted, has been extremely popular with readers since it was first published in 1950. I, and other academics working in the field of romance studies, have raised some concerns about Radway's work. I've blogged about mine here and some of my colleagues' views are expressed in the thread here. If you're looking for primary texts, Neal Wyatt, Georgine Olson, Kristin Ramsdell, Joyce Saricks, and Lynne Welch's "Core Collections in Genre Studies: Romance Fiction 101." Reference and User Services Quarterly 47.2 (2007): 120-126 might be of interest to you. It's aimed at librarians and can be found online here. Nicholas Spark's novels would probably be classified as "romantic fiction" rather than "romances" since one or more of the protagonists often dies in his books. According to the Romance Writers of America, a romance novel must have "An Emotionally-Satisfying and Optimistic Ending." I posted a comment and I thought it had gone through, but now it's vanished. Has it disappeared into the spam folder? I did include a lot of links, so I wouldn't be surprised if it has. Thank you Laura, very much for your two comments, only one of which has made it onto the site here. I'll work with you to get the other one reinstated. And I'd like to thank you very much (in advance as it were) for all the interesting information you provide about modern romances and modern studies of romance fiction. My initial comment was far too long, and I think that's why it disappeared. I've split it in two now and both halves seem to have come through safely. Many thanks, Laura. I am really glad to have these informative comments on OnFiction. Thank you, Laura, for your comments on the issues with Radway's work. There is a lot of very good work being done in the field now that does not have all the problems of Radway's study. I would love to see some of that research discussed here. I am curious about studies on fiction readers' interested in tragic love stories. What's the motivation? I would appreciate it if you could reference any studies you may know of. Thank you, Kara, for this question. I agree the question of motivation for reading tragedy continues to nag at one. I am afraid I don't know any empirical studies that answer your question for tragic love stories. Other readers might know of such studies. My thought on this issue, however, is that because love is very important to us, we are interested in seeing it presented in a transcendent way, with implications that go beyond what happens to the couple involved. So, in Romeo and Juliet,—arguably the most famous tragic love story—the couple unite on a higher plane, and their "death-marked love" succeeds in ending the feud between their families. I think it's a profound idea that for some emotions that have become fixed and destructive, only another emotion (such as sadness or love) can promote change.